It could be easy to forget about sedans to some degree these days as crossovers and pickups are all the rage with gas prices continuing to remain relatively low, and especially as there are no ominous signs of big price increases anywhere to be seen at the moment. However, despite the fact we can't get enough of crossovers right now, the level of competition in the midsize sedan segment is bordering on being off the scale. While cars have all had to up their games in recent times to keep attracting buyers, there are some sensational midsize sedans out there, it has to be said. It's some compliment then to say the 2017 Mazda6 is without doubt one of the very best there is at the moment, but those in the know have been aware of just how good it's been for quite a while now. 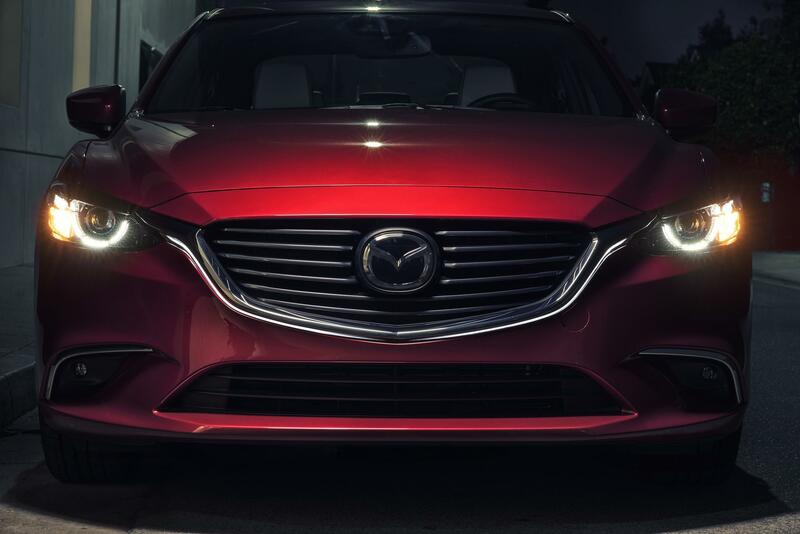 Having a sleek, attractive exterior doesn't make a midsize sedan special on its own in the current market as there are plenty around to admire, but it is the starting point for success and the 2017 Mazda6 definitely checks this particularly important box. It's been a seriously good looking car ever since the first-generation came to light back in 2002, but the current third-generation really is drop-dead gorgeous. With a face and lines that wouldn't be out of place on a Maserati, the Mazda6 really does demand your attention. The interior of the 2017 Mazda6 got a new, sweeping dash and upgraded materials as part of a mid-cycle refresh last year, and it's now fair to say the cabin now lives up to the promises made by the car's exterior. Looking good and being nice to sit inside is all well and good, but today's midsize sedans need to have plenty more going on to keep up with the competition. It's a big check in the plus column then the Mazda6 name has been synonymous with balanced handling and being great to drive since day one. One of the key reasons why the 2017 Mazda6 is so enjoyable to be behind the wheel of is its impressively low curb weight of just over 1,450 kg. It's easy for a vehicle to good on long, straight, smooth roads, but the Mazda really comes into its own when things get a whole lot more interesting and challenging on tight, curvy tracks. There are three straightforward trim levels of Mazda6 right now, which is a pretty common theme to be found running through most of the Mazda range at the moment. The entry point into the lineup is the GX, the GS is the mid-range offering, and the GT is the top specification. One engine covers all three models, which in this case is a four-cylinder, SKYACTIV-G 2.5-litre DOHC with VVT that puts 184 horsepower and 185 lb.-ft. of torque at your disposal. The power from this excellent engine is then sent to the front wheels through a six-speed manual transmission that's standard on GX and GT models and an available option for the GS, while a six-speed auto is available for the GX and GT. With fuel economy ratings as good as 9.1 L/100 km in the city and 6.7 L/100 km on the highway with the automatic transmission, the 2017 Mazda6 really is the complete package.